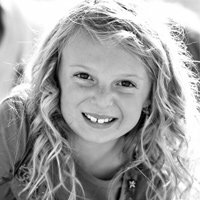 Avery was a happy and passionate ten year old girl who loved every moment of riding her new pony when our lives stopped on a dime on August 2, 2011. After a few bouts of what we thought was a recurring stomach bug, we found ourselves sitting in the emergency room trying to understand how our sweet girl could have a brain tumor. Within hours of that first MRI, we were rushed to Children’s Hospital and admitted into the Pediatric Oncology program. The walk down those halls on the seventh floor was unbelievably surreal and we were terrified by what the future had in store for us. Over the following two weeks Avery had a brain biopsy, a port inserted into her chest, and started ten months of therapy to destroy the Diffuse High Grade Glioma that was growing in her brain. Avery was the model patient, she had a couple bumps along the way but exceeded all expectations in dealing with the rigors of radiation and chemotherapy treatments aimed at killing her tumor. Diffuse High Grade Gliomas are evil and deadly and almost impossible to kill. While we had no choice but to place our faith in her doctors to deploy all the methods they had at their disposal to treat the disease, as parents we viewed our jobs as being the guardians of her spirit. Therefore Avery never knew of the true severity of her condition after her initial diagnosis. One day she asked if her condition was life threatening and we told her “yes but that is why the doctors are going to fix you with their machines and medicine”. She never questioned her mortality again, so we went on to live and laugh as much as we could through her treatment. While the doctors treated her cancer, Avery’s pony Gracefully Dun treated the one thing no one else could touch or truly understand – her soul. She rode Grace during her entire treatment; it made her feel alive, normal, and FEARLESS. Although Avery’s cancer was aggressive and angry, her scans consistently showed that she was beating it. We were genuinely shocked when she relapsed on May 8, 2012, just three weeks before her last treatment. We knew the probability of surviving a relapse was extraordinarily low, and we were unfortunately left with no viable medical options or any realistic hope that we could win this fight. On June 27th, 2012 heaven got another angel and we will forever live without half of our heart. Avery’s short life was full of grace, and it truly was A”very” special life.